On February 3 Polish officials carried out a law passed by parliament last year and seized about zł153 billion (€37 billion) in private pension funds. The slick move, hardly uncommon these days, will reduce Poland’s sovereign debt by roughly 8 percent of GDP and create the illusion of fiscal stability. The policy—which aims at balancing the budget today at the expense of taxpayers tomorrow—is in fact a growing practice around the world. Sadly in Europe it has become daily fare, and herein lies the greatest threat. So the Warsaw Stock Exchange’s largest private investors—the open pension funds (OFEs)—have been required to hand over 51.5 percent of their accumulated assets to the government’s Social Security Institution (ZUS), mostly in the form of treasury bonds and treasury bills. Once turnover is complete, these treasuries will be replaced by mere promises of payment, a perfect example of creative accounting. This magic swap of bonds for less-secure future promises of payment will have a negative impact on today’s financial situation and an obscure—yet quite dangerous—effect both on the fiscal burden on future administrations and on tax increases for future generations. Future administrations will easily be able to break their predecessors’ promises, and taxpayers, unwilling to bear the consequences, will most likely vote with their feet by migrating to freer regions and/or understating their income. In the meantime, the zł153 billion in accumulated private savings should reduce the sovereign debt from about 56 percent of GDP to about 48 percent— provided of course that the newly confiscated money isn’t diverted to other political uses. In fact, this one-time-only debt reduction has nothing to do with fiscal efficiency, little with social security, and a lot with the political agenda. First off, an efficient debt reduction should come about endogenously, i.e. without having to cash in accumulated assets that were traded in—and belonged to—the capital markets. Second, long-term social coherence and stability should be enhanced through sound economic growth and development—something that these funds indeed propelled via financing new projects and infrastructure. Unfunded promises may enhance social coherence in the short run, but eventually, all unfunded schemes become insolvent and pensioners end up getting the short end of the stick. And last but never least: the political incentive to channel these “new” funds into vote-buying in the upcoming elections will be irresistible. But all this misses a more fundamental moral problem: looting the funds in exchange for unfunded promises will do a great harm to future generations. In other words, a promise based on unfunded liabilities is no guarantee that taxpayers will get all the money due them. 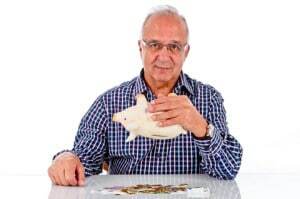 When governments default on their debt, they can easily alter the pension transfers and leave current retirees collecting pennies on the dollar. More generally, entrepreneurs are not easily fooled, so any nationalization of private savings will be very destructive and create regime uncertainty. These seizures put private property in checkmate, reduce overall confidence in the economy, and hinder the key rotor of societal progress: entrepreneurial initiative. This generates harm to future investment since entrepreneurs cannot anticipate the extent to which the Polish government will further alter the rules of the game and, more importantly, safeguard—or seize—the property of the average Pole. Even though the pension overhaul did not excessively alarm the rating agencies, chances are that this stunt has already scared potential private investors and entrepreneurs. Let’s not forget that these funds helped boost the impressive growth and performance of the Warsaw Stock Exchange in the past decade. But more importantly, it played a major role in financial development geared to all levels of society, specifically, all the micro entrepreneurs and startups who would not exist otherwise. As of today, this important capital is utterly gone to fund political ends. As noted, the Poles are not alone, which proves the instability of any pension reform if the ruling class isn’t constitutionally constrained from seizing this—politically attractive—private capital. Unfortunately, Public Choice theory suggests—and growing evidence from central and eastern European countries and core Europe today demonstrates—that regardless of the red flags we raise, the politicians’ incentive to lay their hands on this money makes a commonsense solution virtually impracticable. The short-run profit from depleting private pension funds—without having to pay for the externalities this causes—is a modern “tragedy of the commons,” only this time it stems from our political class as it steals the taxpayers’ lifetime savings—which were hardly supposed to constitute a commons. What is truly alarming is that Brussels has turned a deaf ear to this legal plunder—except when it comes to enforcing more harmonization and “solidarity” against the poor taxpayer. So the key question is not who will be the next victim of this Soviet-style global contagion, but rather how can we avert the many more confiscations to come?